Obviously not my best toucan photos, so see other’s I’ve made in my Costa Rica Toucans Photo Gallery. But note that toucans are very difficult to photograph without expensive and large telephoto lens, since these birds generally stay high in the forest canopy. I did not get the lucky close one this trip like I did at Tortuguero. I was close to that Aracari! See some interesting TOUCAN FACTS on the “Interesting Animal Facts” Page. And though I had other short-term guides, these two guys did two and three full days respectively with me and were both so very friendly, helpful and knowledgeable about the local birds. I could not have asked for better guides at either Montibelli or El Jaguar! They are my favorite on this trip! I will ask for both of them if I ever return! Here I am with Luis at Chocoyero, our one trip out of Montibelli. He’s showing me a bird photo on phone for identification of one seen. His whole family works for El Jaguar, mostly on the coffee farm. AND I HAD MOISES LEADING ME THROUGH THE WILDERNESS! Like most young people in Latin America, these guys treated me with ultimate respect because of my age. And they acted like it was a privilege to serve me anyway they could. Like all over the world, young men in their 20’s find it difficult to get jobs. These two are following their passion for birds with part-time work as guides. And as all young adults in both Costa Rica and Nicaragua, they live at home with their parents until married or a job in another place. Luis finishes university in June with a business degree but does not know what he will do. He would like to start a bird guide business, but the competition and seasonal nature of the work would make it difficult to support a family if he marries his girlfriend or novia. Moises is more likely to stay with El Jaguar doing multiple jobs beyond bird guiding. (His bosses know what a good guide he is!) For example, he works with an international organization banding birds two mornings a week and assisting with research (though it could be volunteer work). And of course there is the coffee farm work year around. He did not go to the university. He also drives the farm truck and here there are limited people who can or will drive, making them professional drivers or conductors. There is more poverty in Nicaragua than Costa Rica and it is more difficult to find jobs, thus many from Nicaragua migrate to Costa Rica for work, like my maid Mayra and her husband and two children. Both of these young men spoke good English but were just about the only ones in Nicaragua! I got lots of practice with my simple efforts to speak Spanish. ¡Necesito practicar más español! I also had the good fortune of meeting and having dinner with the owners of El Jaguar one night. A Swiss man named George Duriaux married to a Nica woman, Liliana Chavarria-Duriaux, who inherited the land from her father and with George has turned it into a combination wildlife reserve and coffee farm, with coffee paying the bills! They are delightful people and she is one of the three co-authors of my new book, A Guide to the Birds of Nicaragua. She even autographed my copy with a nice personal note! She also gave suggestions to help me learn Spanish including the recommendation of two novels in español that she believes will help me learn the language faster. (If interested, they are Cien años de soledad and El amor en los tiempos del colera, both by Nobel prize writer Gabriel Garcia Marquez). I found both at Walmart yesterday and will try! ¡Muy dificil para me! 🙂 And I’m not sure if I’m ready to do Spanish on my Kindle yet. I may try one. Both reserves were wonderful with El Jaguar standing out for me on this trip, partly for the extra day, the most birds, and meeting delightful people! As I left, two couples had checked in for their birding adventures there! One from Germany and the other from Canada. Meeting people like this is part of the joy of traveling! And oh yes, there are more bird photos to share! I photographed around 70 species in Nicaragua! 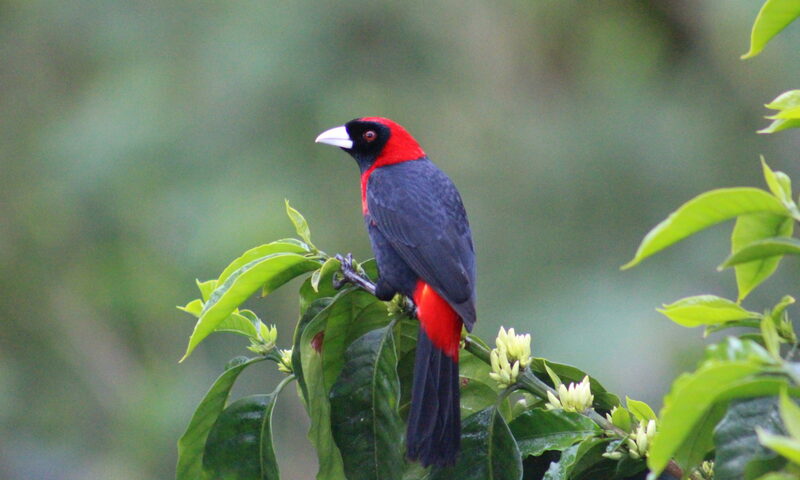 While continuing to share Nica photos, I go back to the many birds in Costa Rica yet to be photographed! But the need for a renewed visa gave me an excuse for the wonderful experience of traveling in another country! I loved every minute of it while still being glad to get home!